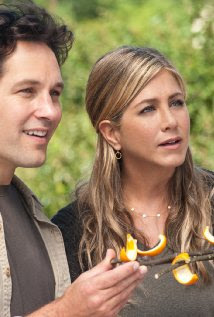 Reel Talk Online: First Look: "Wanderlust"
Jennifer Aniston strikes again. And this time she's taking Paul Rudd, Malin Akerman, Lauren Ambrose, and Ray Liotta down with her for the lackluster-looking Wanderlust. The romantic comedy queen and Rudd play jilted urbanites who flee the craziness of the city to experience a more counter culture life....on a nudist farm (in the guise of a hippie community)? Looks like this will be another one of those movies. Wanderlust hits theaters February 24, 2012.